Cichlid fishes are amazing creatures. In terms of sheer number of species, they are the most successful of all families of vertebrate animals, and the extent and speed with which they have evolved in some African lakes has made them the darlings of evolutionary biologists. With warmth and wit, Barlow describes the remarkably high intelligence of these fishes, their complex mating and parenting rituals, their bizarre feeding and fighting habits, and their highly unusual adaptations. 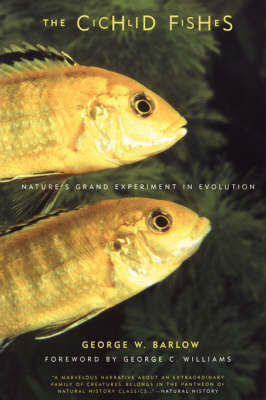 A celebration of their diversity, The Cichlid Fishes is also a marvellous exploration of how these animals might help resolve the age-old puzzle of how species arise and evolve.